You can run Magento on our shared hosting plans, however due to Magento being very resource intensive, you will not get optimum performance, and probably will deal with slow issues (regardless of the level of optimization you perform). 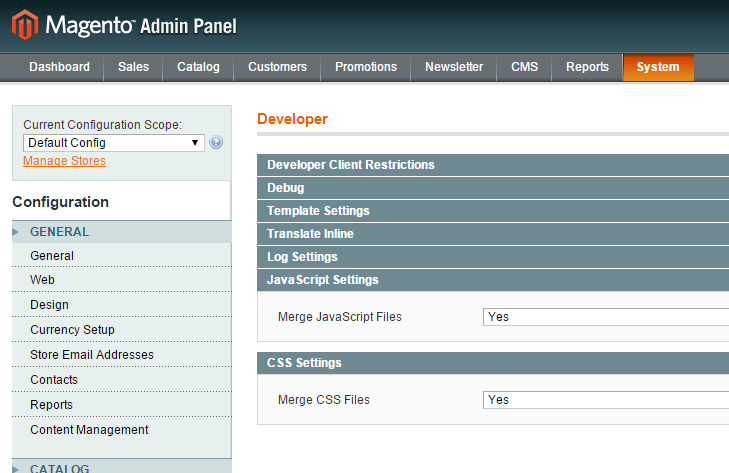 We recommend for Magento (especially for Mageno 2.0+) that you look into a VPS or Cloud package instead. To enable, navigate to System → Cache Management, select everything and then under the drop-down select Enable and click Submit. 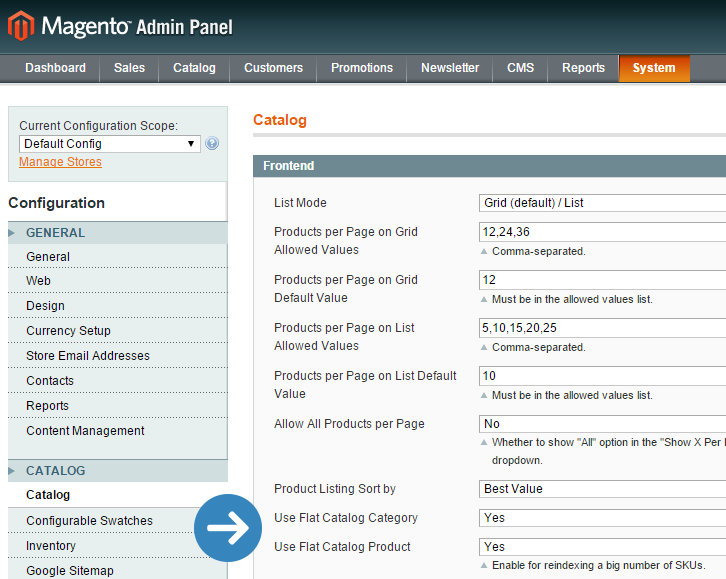 Navigate to System → Configuration → Catalog, under Frontend change Use Flat Catalog Category and Use Flat Catalog Product to Yes, click on Save Config and clear the cache (the recommended way to do this is to delete everything from the /var/cache directory). Navigate to System → Tools → Compilation, click on Run Compilation Process. 5. 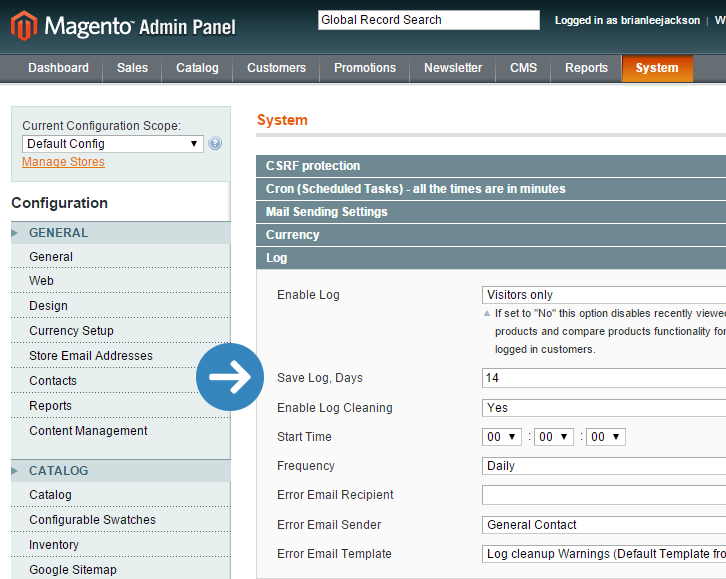 Clean Up Magento Database & Logs. Navigate to System → Configuration → Advanced→ System → Log, under Save Log, Days change it to 14 days, or whatever you prefer, click on Save Config. 6. Fewer Extensions & Modules. Navigate to System → Configuration → Advanced→ Advanced → Log, on the modules you don’t need select Disable from the drop-down box and click on Save Config. Navigate to System → Index Management, select all of the indexes (or the ones you want to update), choose Reindex Data from the dropdown and click Submit.